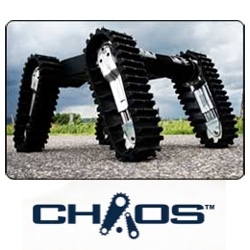 Autonomous Solutions' CHAOS robot is .... WOW. climbs stairs WHILE you stand on it... Designed to move silently over unstable ground, it is also intended for search and rescue, recon, etc. MUST watch the vid.